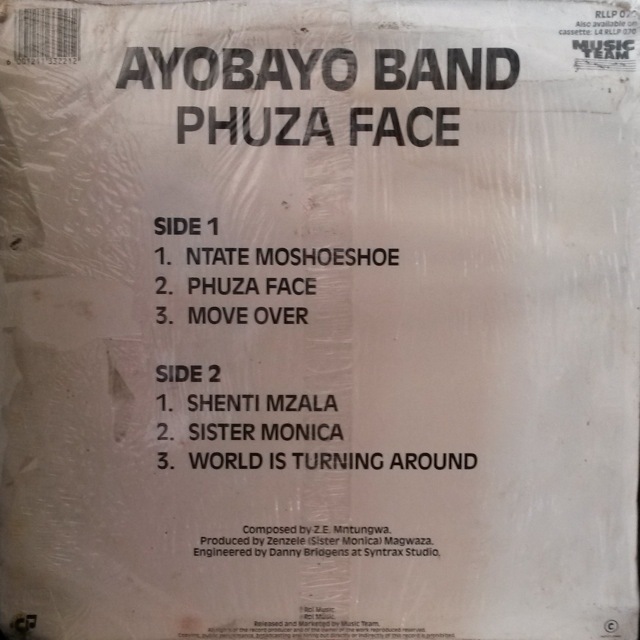 Composed by ZE Mtungwa and produced by Eddie Magwaza, here using the name Zenzele ‘Sister Monica’ (also the name of one of the tracks on this album), who was also behind V.O. 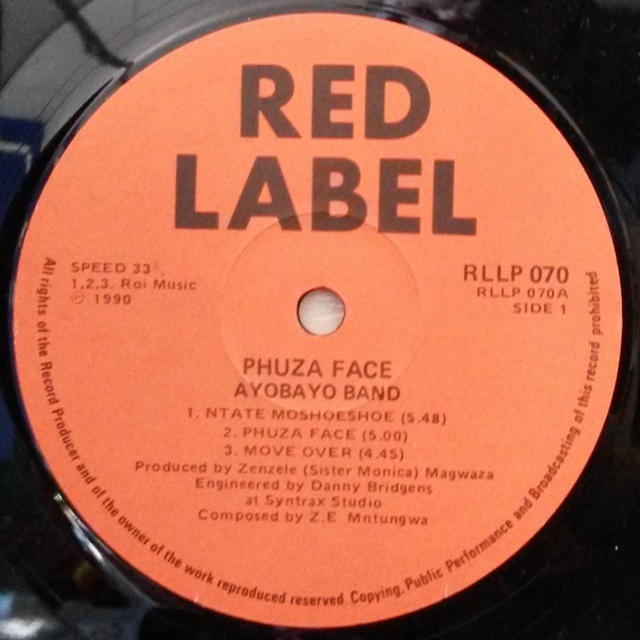 and Fast Move but died in the early 90s. 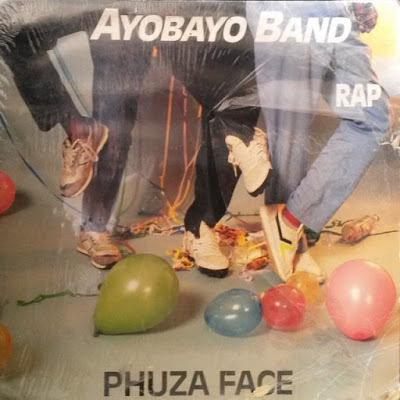 The band typified the new pantsula sound that prefigured kwaito, alongside The Hard Workers and others. Over 100% electronic grooves vocals relied of chanting and rapping rather than singing, hence the word ‘rap’ being prominent on the cover, despite this not being a hip-hop album. The term ‘Phuza Face’ refers to the effects of heavy drinking, as was also used by Banjo and others.